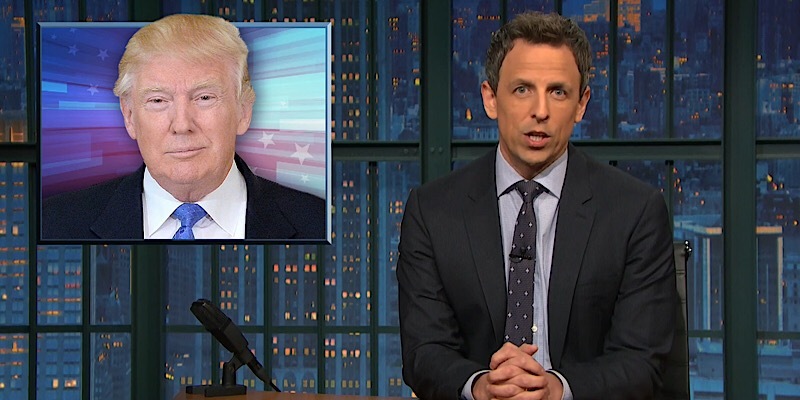 Seth Meyers has been enjoying great ratings since Donald Trump took office and for good reason. He does a fantastic job of slamming the President. This week, possibly one of Trump’s toughest yet in office, Meyers spared nothing to really tear him apart, slamming him for losing the travel ban, for his terrible health plan, and for even Republicans not believing his claim that former President Barack Obama was wiretapping him. And of course, he also has to get in a dig about his tiny hands.